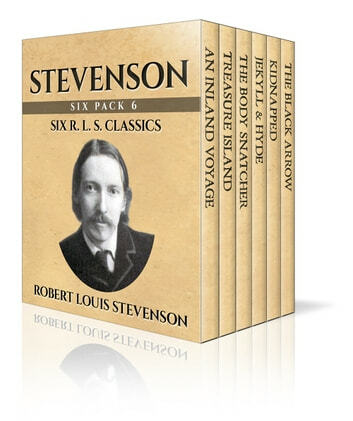 No Robert Louis Stevenson collection would be complete without Treasure Island, another genre kick-starter which, partly thanks to Disney, remains alive in the public’s imagination; and Kidnapped, Stevenson’s famous “boy’s” novel. 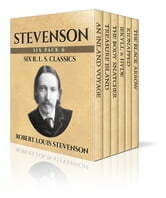 There is also the short story The Body Snatcher; The Black Arrow: A Tale of the Two Roses, a lesser known historical romance adventure set during England’s Wars of the Roses, and An Inland Voyage, a pioneering work of travel literature by Stevenson about a canoeing trip through France and Belgium in 1876. This collection includes an image gallery with portraits of Stevenson, photographs from his last years in Samoa, copies of first edition book covers and reproductions of many original Victorian illustrations.